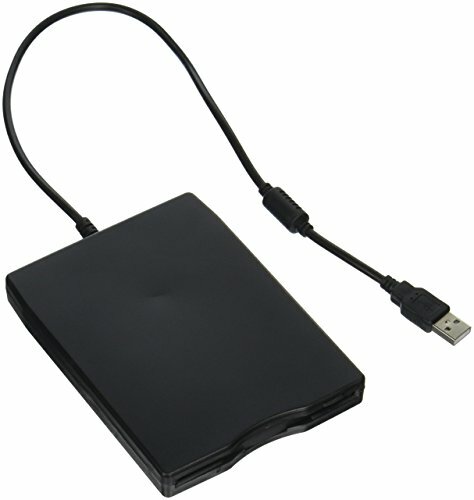 Product Description: black External USB Floppy Drive provides an easy way to add an external floppy drive to your desktop or laptop computer. It utilizes the USB interface that comes standard on Windows as well as Mac systems.Just connect the USB Floppy Drive to your computer's USB port and you are ready to start backing up and exchanging files. The hot-swappable USB interface provides plug and play convenience by eliminating the need to turn off or restart the system when connecting. And, its simple one-cable connector makes a separate power cord found on other drives unnecessary.The black External USB Floppy Drive is based on industry standard 1.44MB floppy - the same drive found in many of the today's leading desktop and laptop PCs.